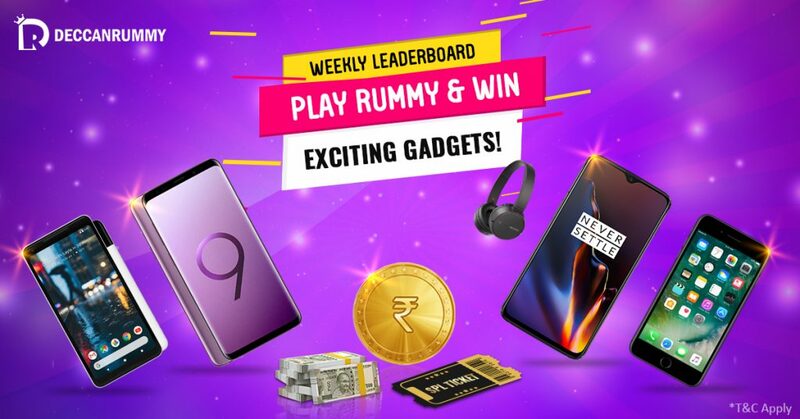 Home » Win GalaxyS9 by topping our weekly leaderboard race! 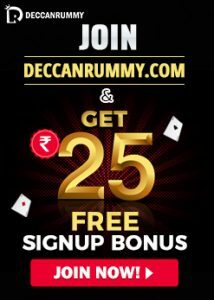 Deccan Rummy has grown rapidly over the past several years, bringing players across India through our unique incentives and promotions. How do we differentiate ourselves from others? Easy, this is not a job for us this is passion and dedication! We don’t go to work and leave everything at the door on our way out or to put it in better words, we don’t think just with our brains but with our hearts as well. We truly believe that our mind blowing promotions will make our players see how important we consider their needs and how serious we are about trying to fulfill them. Our existing promotions and offers are just manifestations of our effort in doing so. So far, we have worked hard to bring novel and innovative ideas to enthuse our rummy audience. Our weekly leaderboard race is a testimony for the same. From the day of its launch, users were drawn to the promotion like a metal to a magnet. 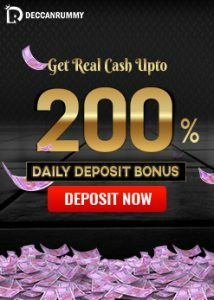 And till date, hundreds of players have won phenomenal gifts like iPhones, iPads, Tablets, Laptops, gold coins, and cash bonuses. We believe that for a contest to ensure long time sustenance, it has to dynamic. That’s the reason we change the gifts frequently. Also, these are days where hundreds of gadgets arrive new every month and customer preferences are changing constantly. To keep in-tune with the latest taste of the audience, we announce the gifts that are trending in the market. Players come in droves to play rummy and feature in the weekly leaderboard race to win these prizes. After all who wants to miss a fantastic opportunity to grab life-changing prizes and a chance to feature in the record books of India’s premier online rummy site. The first month of this enticing promotion wrapped up recently, with u pto 1500 players winning extraordinary gadgets and bonuses. This month we have decided to rev-up the weekly leaderboard race with some of the hot and happening gadgets that are selling like hotcakes in the market. Are you curious to know what is up for grabs? True to the saying strike while the iron is hot these are times where the opportunity knocks your gates. Start playing cash rummy games and move up the leaderboard to catch hold of these exciting prizes. Cash game players can clock up loyalty points and help you secure a position in the leaderboard. No effort goes unrewarded here at DeccanRummy. So, don’t let the opportunity pass by! DeccanRummy.com, India’s fastest rummy online website, offers you the best gaming experience for Indian rummy. A forerunner in the technological revolution, Deccan Rummy is second home to half a million rummy players in India as the site offers a seamless gaming environment and extremely lucrative rummy promotions. Join us and enjoy our action-packed games and you will know why our players have consistently rated us as the No. 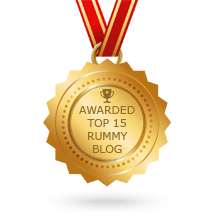 1 rummy site in India.